ADHD ARTGuides™ Certification Webinar, 5 Sessions | Navigating ADHD Inc. Expand your client base and increase your revenue by providing your clients creative solutions to common ADHD challenges. Learn to access the creative strengths of ADHD with fun and practical art projects that children will be excited to use at home and at school. 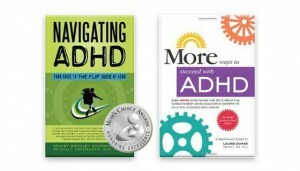 ADHD ArtGuides™ is a highly effective method of ADHD treatment that’s easy-to-use and available right now.